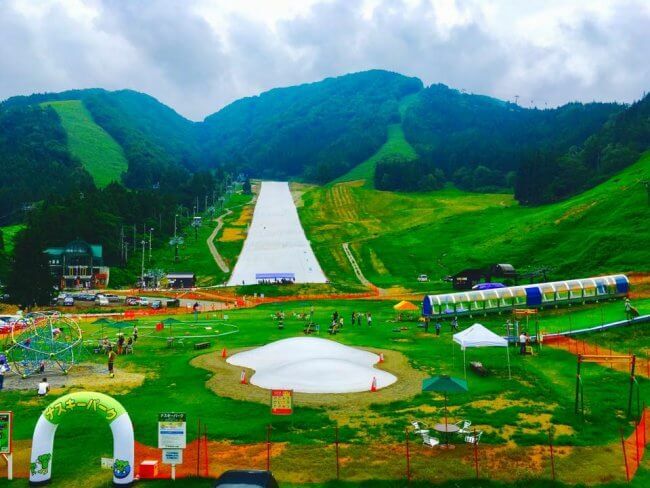 Nozawa Onsen Sports Park – Summer Skiing! 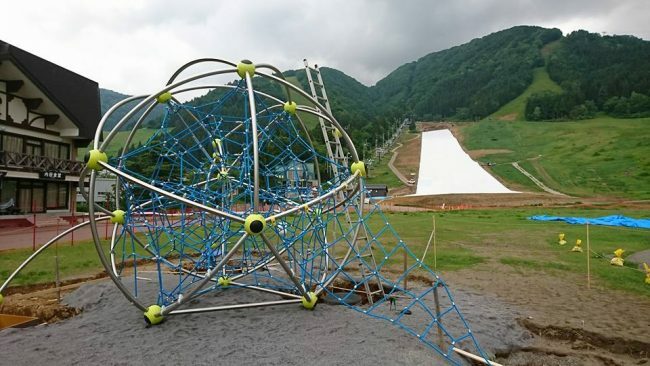 The Nozawa Onsen Sports Park is set to open in the 1st of July just a few short weeks away. Preparations started over a year ago and all is looking good for the Hikage slopes in Nozawa to transform into a hive of activity this summer. Total length 652m with maximum Speed of 70km/hr! It is the longest of its kind in Japan. The cost is 2000 Yen for Adults and 1200 for kids. It will soon be possible to go skiing in Nozawa pretty much all year round! The Hikage slope is 500m long and 30m wide. With the latest in snow mat which is a plastic surface with water running down it and creates as real a feel as you can get to snow skiing. Plenty of fun for the kids too and in the same location that the Winter Kids Park is there will be a summer one too! Mountain style trampoline like a big white fluffy cloud great to wear the little ones out! The Sparena outdoors swimming pool also opens up soon and a great way to cool down in the Sunmer heat. Lots going in in Nozawa in the Green Season too so hope to see you up here. Most of our accommodation places are open including Nozawa Central Apartments, Nozawa House and Kaiya Nozawa and can stay for Half Price of the Winter season so some great deals.